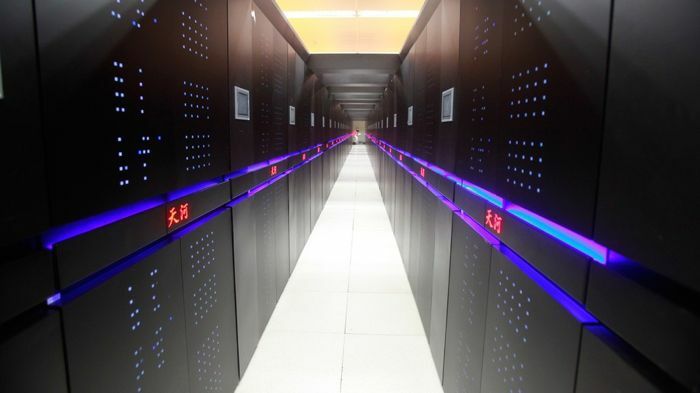 China’s Tianhe-2 has managed to claim the title of the world’s fastest supercomputer for the third time in a row, it is part of China’s National University of Defense Technology and it has a performance of 33.86 petaflops/s in the Linpack benchmark. The news comes as part of the latest top 500 supercomputers list, and the top 10 remains the same, except for a new entry from a U.S. supercomputer that is situated at an undisclosed U.S. Government site. A detailed analysis of the latest TOP500 list will be presented Monday, June 23, at the International Supercomputing Conference in Leipzig, Germany. At that time, the full list will also be published at TOP500.org. Although the United States remains the top country in terms of overall systems with 233, this is down from 265 on the November 2013 list. The number of Chinese systems on the list rose from 63 to 76, giving the Asian nation nearly as many supercomputers as the UK, with 30; France, with 27; and Germany, with 23; combined. Japan also increased its showing, up to 30 from 28 on the previous list. You can find out more information about the world’s fastest supercomputers, and see the full list of the top 500 supercomputers at the link below.